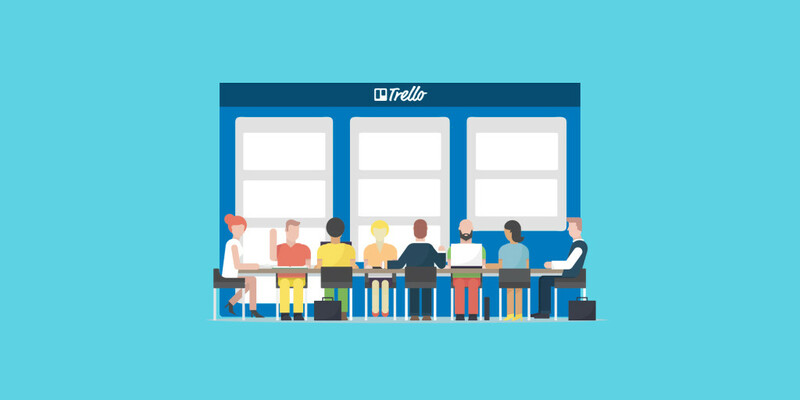 At Trello we have Town Hall meetings where everyone at the company is in attendance. They are an open forum for anyone to ask questions, discuss what’s on their mind, or share what the team is up to. No matter their role, everyone is on the same level during these meetings. 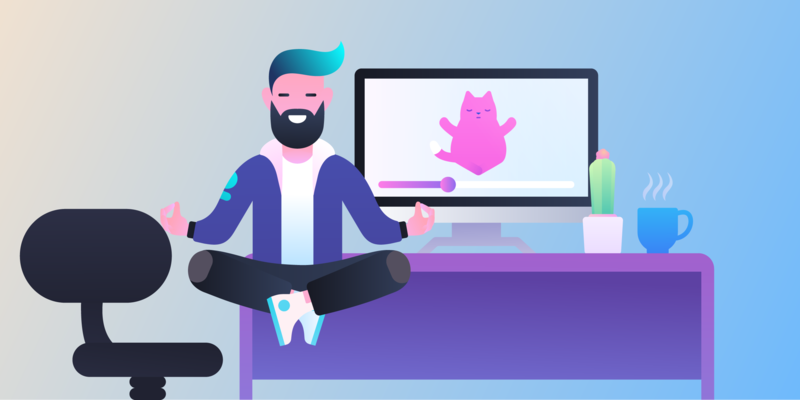 We have found Town Halls to be a powerful way to convey company priorities, promote cross team communication, and, most importantly, create a thriving, unified culture throughout our distributed team. To facilitate the transparency of these meetings we created a Trello board that is open to everyone at the company. Half of the company is in New York City and the other half is remotely distributed, so we have adopted a remote first policy. For Town Halls, we access the meeting in a Zoom video chat. 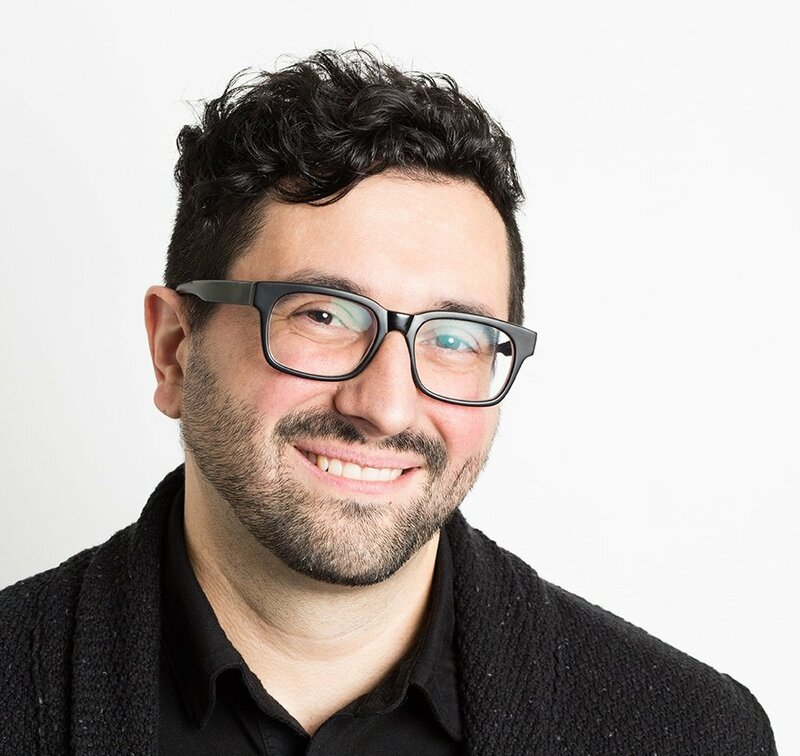 This has been a powerful way of creating a shared experience across the entire company. 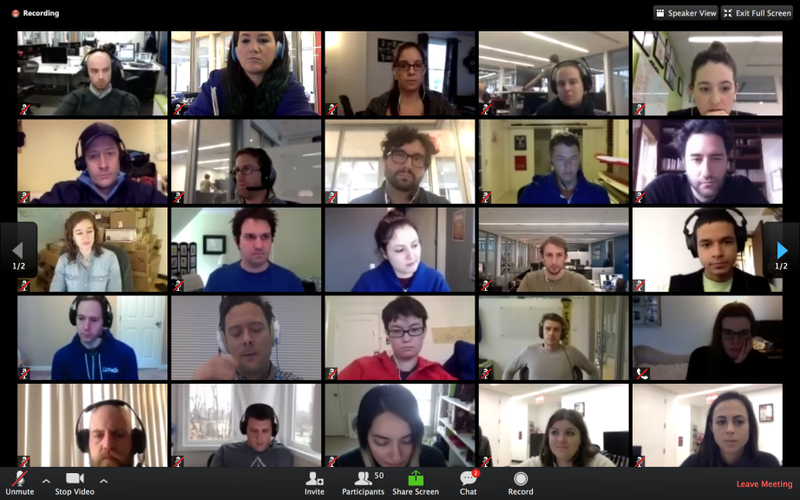 Remote first meetings: Since only half the company is based out of HQ, we all enter a Zoom call to connect as a company. 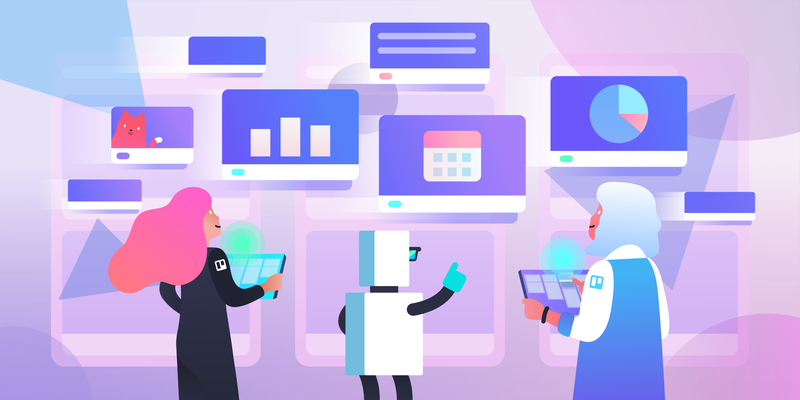 Town Halls are a great way to hear about what different teams and departments are working on by setting up demos, or sharing statistics with the entire company. 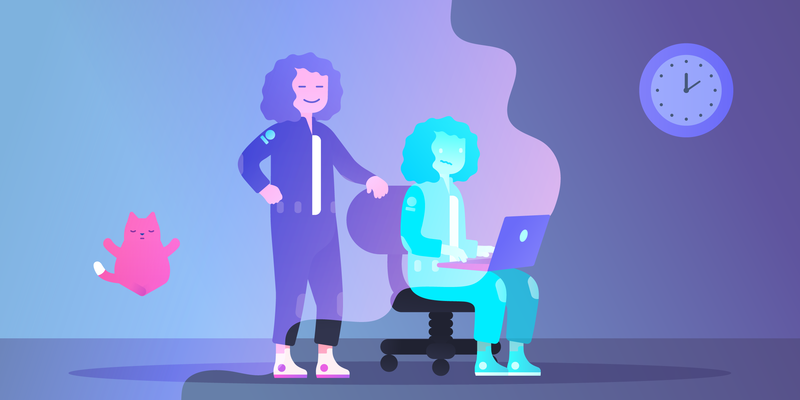 In the absence of in person communication day to day, it’s easy to run into the trap of different teams feeling silo’ed and out of the loop. It is also a good time for management and executives to reiterate the bigger picture in terms of company priorities. The first card read aloud is called Town Hall Announcements. The 10 items in the checklist on this card are akin to the “10 commandments” for the company. These state the core philosophies of the company and the company culture. 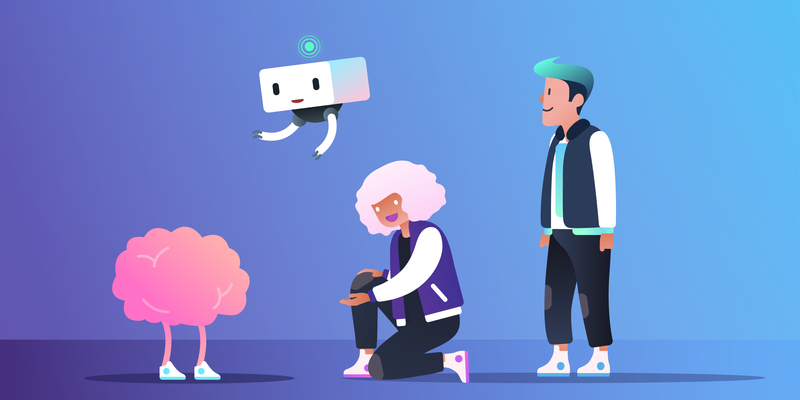 If you have any tenets that define your company and empowers your employees, this is a great platform for collectively sharing and reinforcing the principles on which your company was founded. At the beginning of each Town Hall, someone reads these 10 principles out loud so that they are reiterated to the entire company.  We always have a new hire read the list so that they become familiar with these philosophies. For each upcoming town hall we copy this card and move it to the Announcements/Questions list for that team meeting, assigning new hires to the card. The goal of a Town Hall is to have a transparent company wide meeting with an open forum for any employee to be able to ask questions, voice concerns, celebrate great contributions, or update the company on their work. Anyone can add a card to Announcements/Questions with the goal of addressing every single card on the list during the town hall. If you add a card to the list, add yourself to the card so that the meeting moderator can call on you when your card comes up. As mentioned earlier these could be questions, concerns, or project updates. Create a new list on the board with the Town Hall date and move these cards to this list as they are completed to keep a visual log of each meeting. Town Hall meetings are not all business. 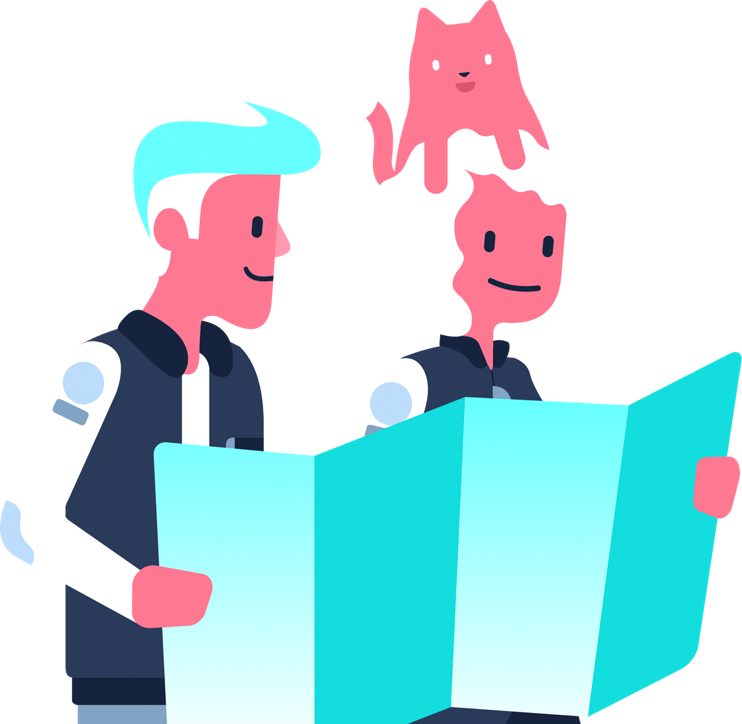 The meetings are a rare opportunity when the entire team is together, which is especially novel in distributed companies. Take the time to build your employees up by establishing fun traditions and finding different ways to celebrate successes. When it is the anniversary of someone’s hire date we award them a Taco statue. Every year you get another, and as you can imagine some team members have quite a few now! There’s always interesting stories to share. 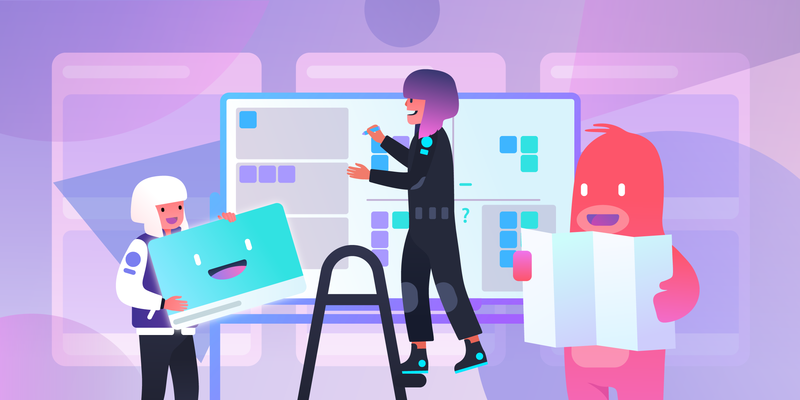 Some examples include the Sales team walking us through what it takes to close a deal, the Marketing team sharing results from the latest campaign, and the Engineering team doing demos of upcoming features they’re working on. 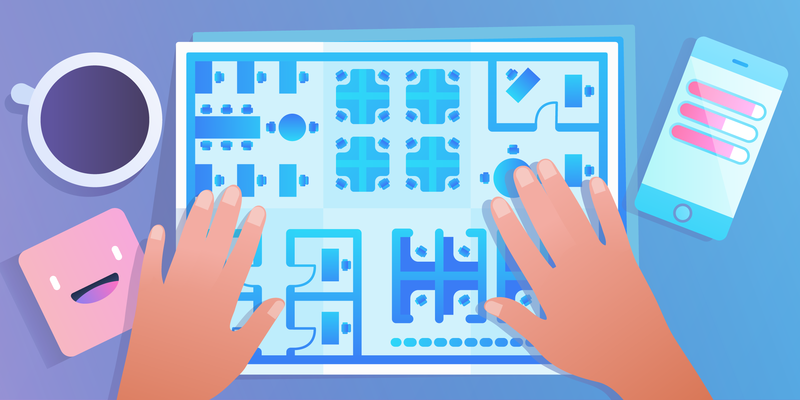 This work is always of interest to the entire company, and often Town Halls are the way in which other teams find out what everyone else is up to. Ending on a high note gives us a moment to collectively celebrate the great people with whom we work. Whether it’s an anniversary with the company, a gold star, or a happy birthday sing-a-long, it is important to recognize all of the individuals that come together to make your company what it is, and make them proud to be a part of something that is so much bigger than their individual role at the company. Of course, once a town hall is done this doesn’t mean it should be forgotten. That’s why this board also acts as a history and repository for past meetings that can be accessed by anyone at the company anywhere. 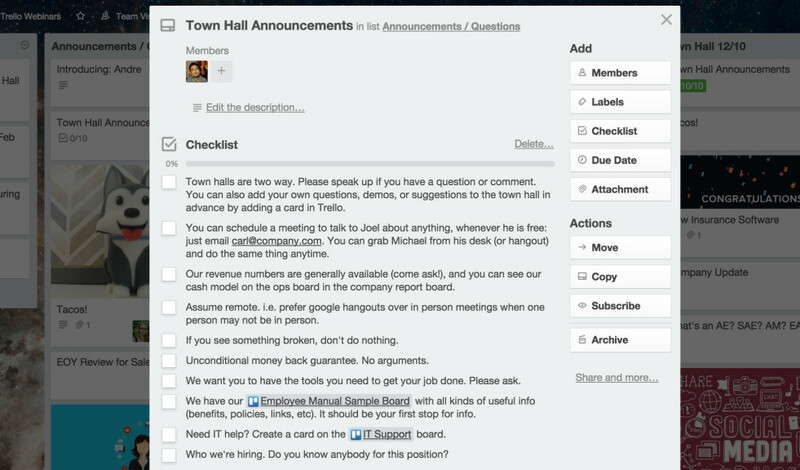 Add a “Minutes” list, then create a card for each town hall meeting. Add a detailed meeting recap in the card description about what was covered, learned, or any action items that were discussed. This is also helpful in case you want to go back for references and links, demos, or data from any presentations. And there you have it: your one stop shop for planning, structuring, hosting, documenting, and most importantly, cultivating company meetings. 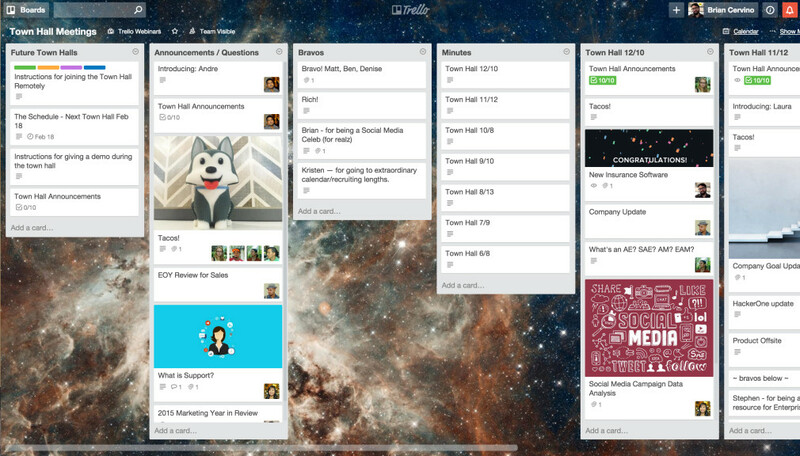 Click here to check out a sample town hall Trello board.